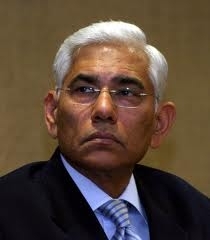 Outgoing Comptroller and Auditor General Vinod Rai on Tuesday dismissed charges that he was behind the leak of controversial audit reports on 2G spectrum and coal block allocations. "In the course of the audit process, if somebody asks a question under the Right To Information, the CIC (Central Information Commission) has held that we are bound to answer. So it is not leaking," Rai told PTI. The CAG said that he was of the opinion that nobody else should see a report before it is tabled in Parliament. He had written to the prime minister in this regard, but it was decided that there was no breach of parliamentary privilege. "We felt it was a breach of parliamentary privilege. So I wrote to the prime minister who asked the law minister to look into it. We had a discussion between the finance minister, parliamentary affairs minister and Lok Sabha Speaker. But it was held that there is no parliamentary breach of privilege. So we continued to give it out under RTI," he said. Rai said he was following the media policy, which was framed after a tripartite discussion between the Parliamentary Accounts Committee, the government and the CAG. The CAG holds press conference after presentation of its reports in Parliament to explain the reports. "The media policy we are following is from June, 2006. And that is before I took charge and it clearly says that press conference could be held," Rai added. He also informed that holding of the press conference was challenged by the Tamil Nadu government in 2004 and the court observed that it was very much an authentic activity and dismissed the petition. Parts of reports, including the audit report on coal block allocation and 2G spectrum, had appeared in media before they were tabled in Parliament.